Moharam Fouad or “The Sound of The Nile” as he is known in the Arab world, was one of Egypt’s strongest voices from the golden era. So, when Antwerp-based Ramy Moharam Fouad (Tamino), the grandson of Moharam Fouad, released his first album Amir, he knew he had big shoes to fill. Bringing together East and West, the 22 year-old’s lead track Habibi (or “my love” in Arabic) shows the young artist’s talent in singing within his full range. With reviews comparing him to the likes of Jeff Buckley and Thom Yorks, and celebrity fans like bassist Colin Greenwood, he hasn’t fallen short of expectations. 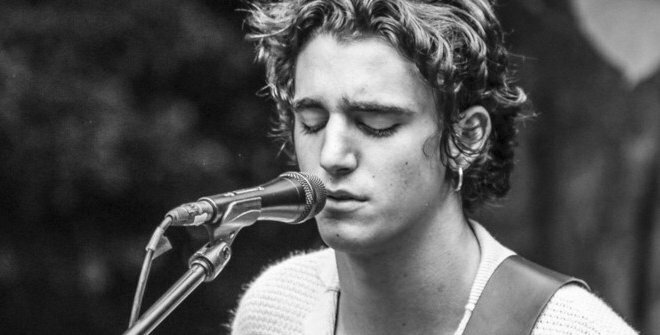 Tamino–who is of Egyptian, Lebanese and Belgian origins– sings in English, but deliberately chose an Arabic orchestra (with refugees from Iraq and Syria) for some of the songs because of the “added intensity” typical of Arabic music. “The sound is so beautiful, they bring such greatness to it, this almost royal sound,” he said. In addition to Europe, the young artist will soon be holding concerts in Morocco and Lebanon. He hasn’t yet made plans for an Egypt concert, saying he wants to be well prepared for it, as it’s a “big step” because of his grandfather’s legend. Op de foto: TAMINO Moharam Fouad en niet zijn broer RAMY! Dus dit gaat over Tamino en niet, zoals verkeerdelijk gemeld, over Ramy Moharam Fouad!